In many places walking through a field of wildflowers is a long-forgotten pleasure. In the area around Molino del Santo this is still one of the biggest attractions for a walker and a nature lover. Some flowers bloom as early as January: the lovely Paper-white Narcissus (Narcissus papyraceus) or the bright blue and yellow Broad-leaved Iris (Iris planifolia) are just two examples. April and May is an explosion of colour and scent. In the summer the Cork, Holm and Portuguese Oak forests can keep your inner naturalist happy while you walk in their shade. Late spring and summer is also a great season for butterflies: the large and showy Common and Scarce Swallowtails, the iridescent Cardinal or the cheerfully bright Spanish Festoon. Several exciting species of Dragonflies hover around the stream at Molino and the nearby river. 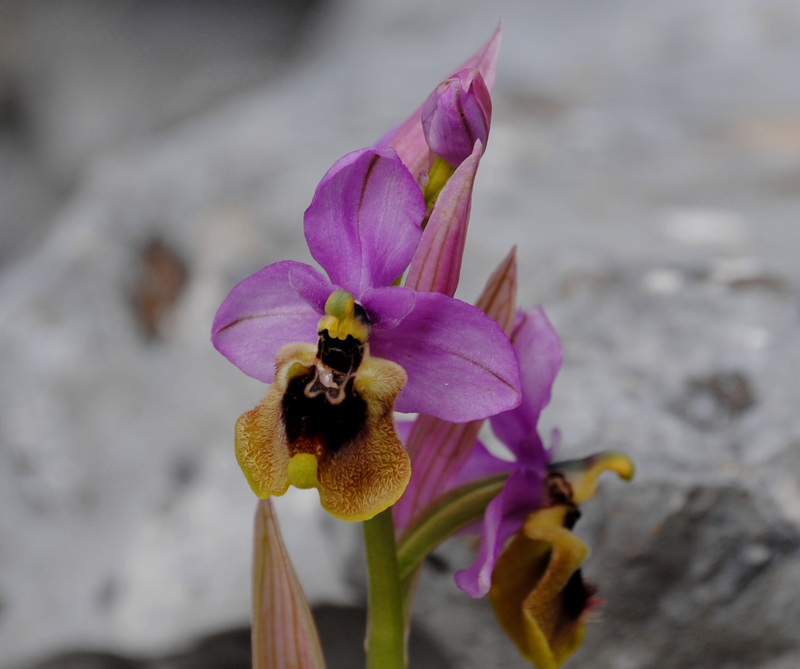 Over 40 species of wild orchids exist in the Ronda mountain area and it is pure joy finding these tiny jewels along the paths. 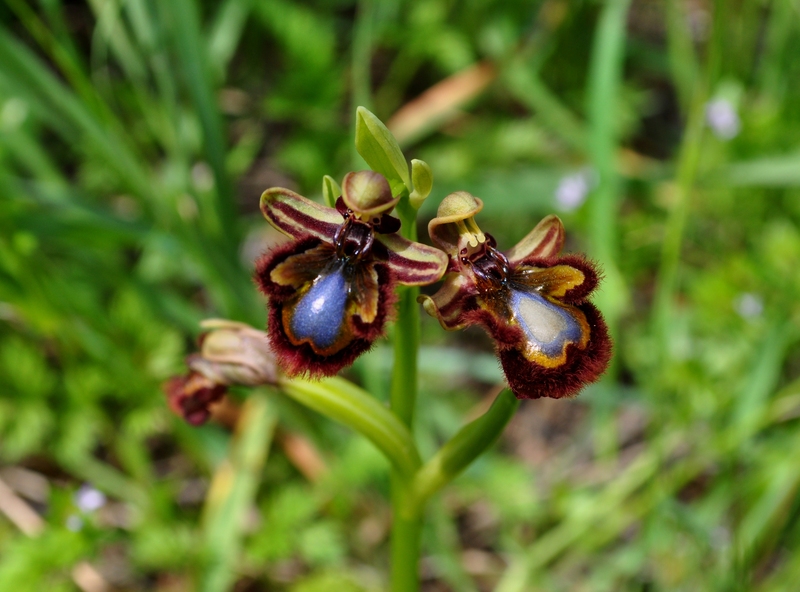 Many wildflowers surprise with their exotic looks: the bright pink wild Peony (Paeonia broteroi and the rarer Paeonia coriacea), the long-stemmed Spanish Iris (Iris xiphium) or the lavish-looking Portuguese squill (Scilla Peruviana, a famous misnomer by Linnaeus as the plant reached him from Spain on a ship named “Peru”). Take a break from the abundance of plants and seek out the beautiful Ocellated Lizard or the photogenic Large Psammodromus as they bask in the sun. And if you keep scanning the surrounding crags you have a good chance of spotting the long-horned Spanish Ibex, the wild mountain goat which could be considered a symbol of the Ronda mountains. Molino del Santo is perfectly located for exploring the wildlife of the Parques Naturales. The hotel ´s immediate surroundings (for example the river banks – a five minute walk from Molino) are exceptionally rich in flora and fauna.